Thank you for a wonderful stay. The loft--with its large windows, the wonderful view onto the quiet courtyard, the comfortable bedroom, the simple but tasteful decoration--was beyond our expectations. 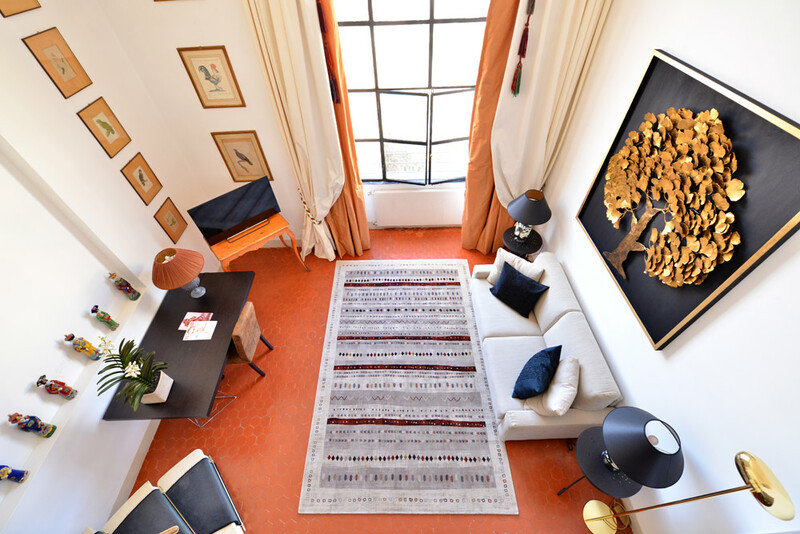 A characteristic red “cotto” tiled floor and high ceilings make this loft very original. On the left side of the entrance there is a simple, yet well equipped kitchen. 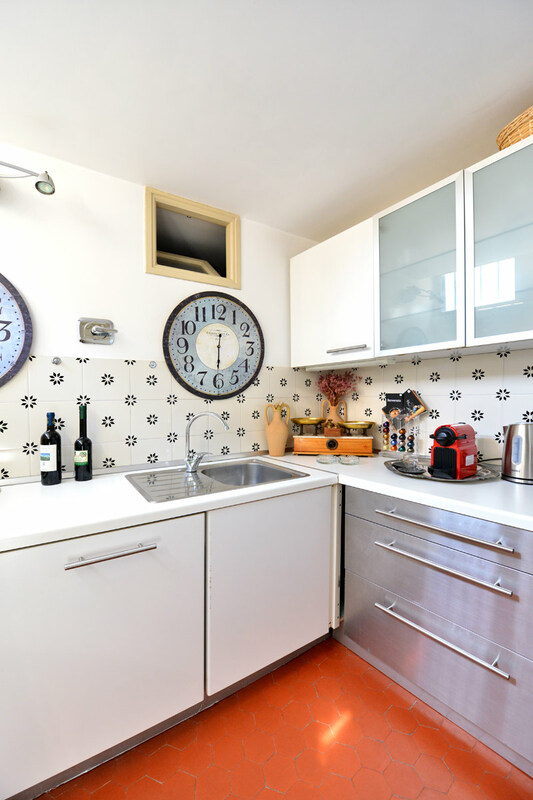 Here you can use the gas stove, oven, Nespresso machine, dishwasher, washing machine, fridge and freezer. All the necessary cooking equipment is also provided. The spacious bright living room features a large wooden library with a Hi-Fi smartphone friendly system. 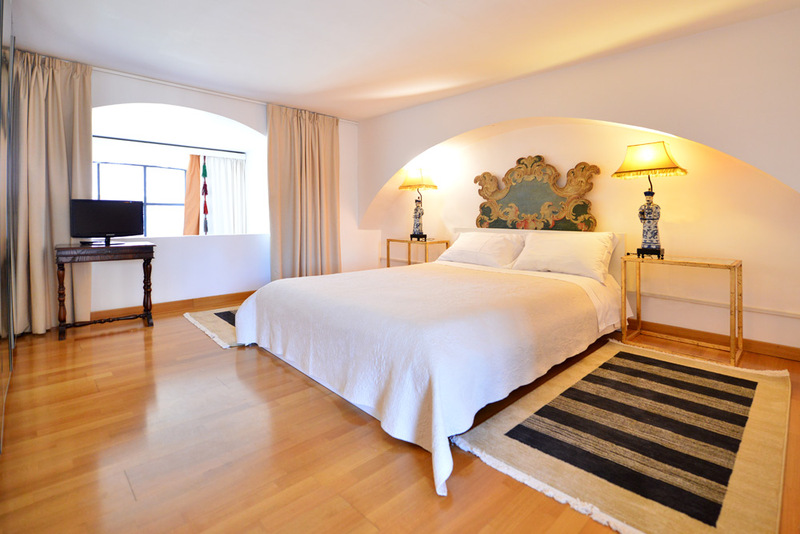 You can also find a comfortable white sofa bed with pillows, and an armchair in this room. 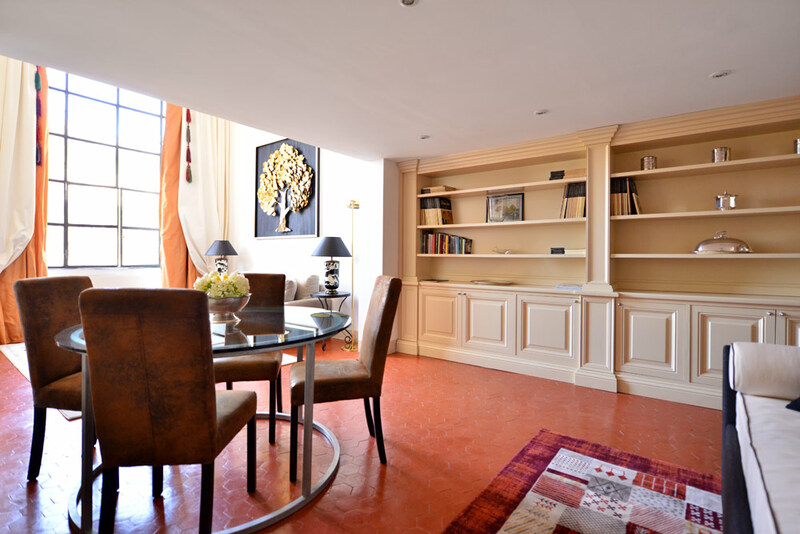 Moreover, there is a huge window “à carreaux”, a round dining table with leather chairs, and lamps. 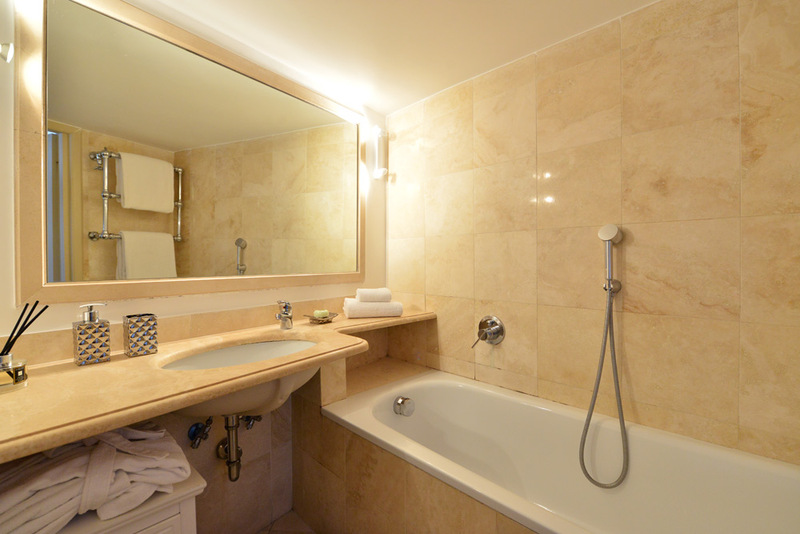 On the same level, there is an elegant marble bathroom with a shower. 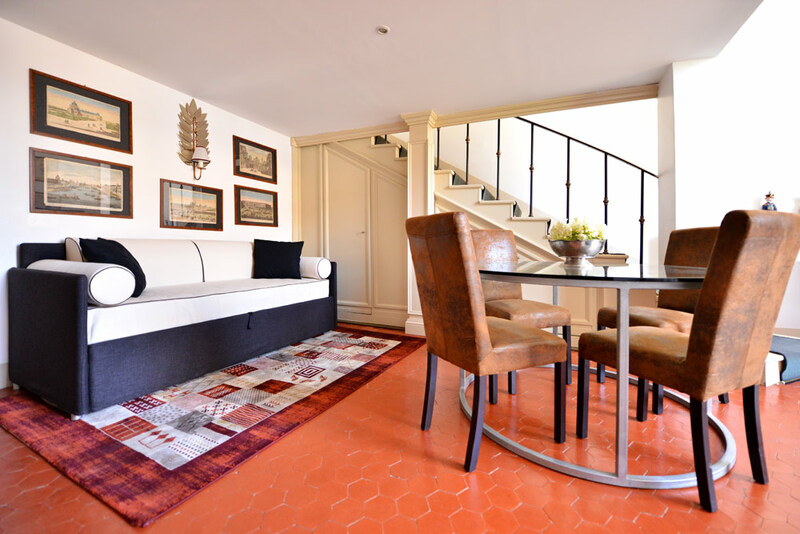 A staircase leads you to the upper level where there is the master bedroom with a king size bed, wardrobes with mirrors, night tables, night lamps, a carpet, a flat screen 27″ TV with a DVD player and en-suite marble bathroom with a bathtub. Via Margutta is a beautiful street in the heart of the Spagna district. This means it is very close to the Spanish Steps, the Trevi Fountain, and the Piazza del Popolo. Furthermore, the area has many fantastic shopping opportunities, both designer and high street. In the evenings, you can head to one of the many elegant restaurants in the area. Alternatively enjoy a drink at a bar. A particularly popular one is the Bar Canova on the Piazza del Popolo. This was one of Fellini’s favorite haunts, and it exhibits some of his sketches and notes on its walls to this day. 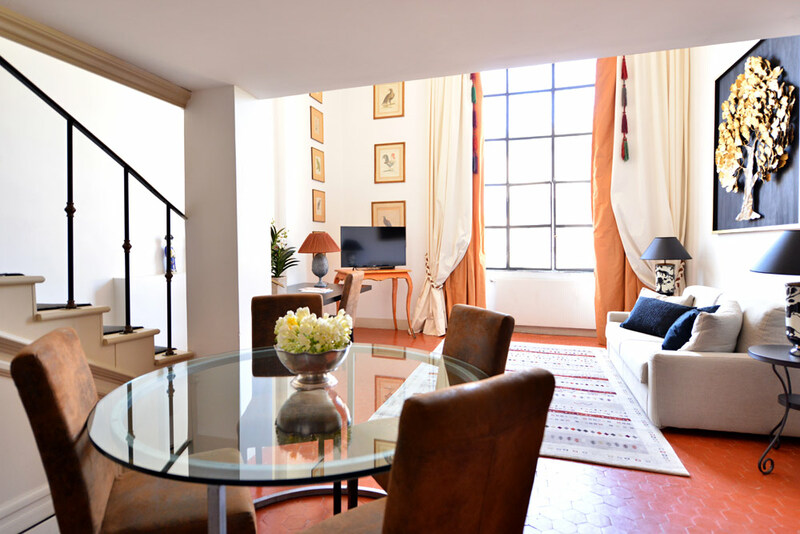 A little further away from the area you will find the Piazza Venezia, the Pantheon and the lively Navona area. The latter offers many great (and slightly more laid-back) alternatives to the restaurants and bars in Spagna and Colonna. 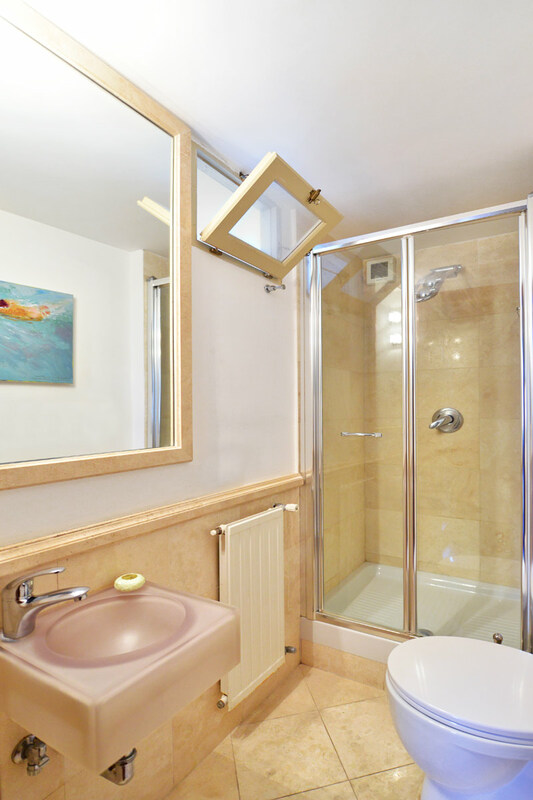 Furthermore, right before your eyes you will have great views on Villa Medici and Villa Borghese’s park. 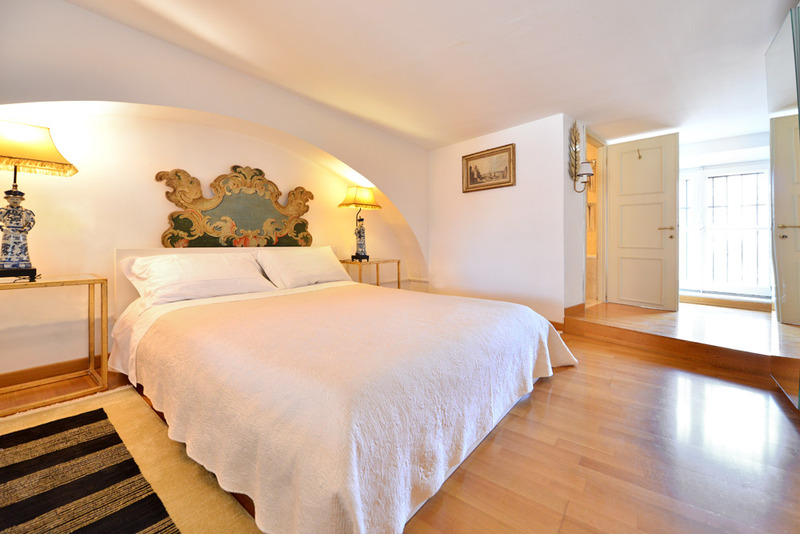 You can walk to these in less than 5 minute walk from this Spanish Steps bright apartment. Here you will also find the delightful Pincio Terrace, from which you can enjoy a sunset over the Prati district which lies just in front of this. 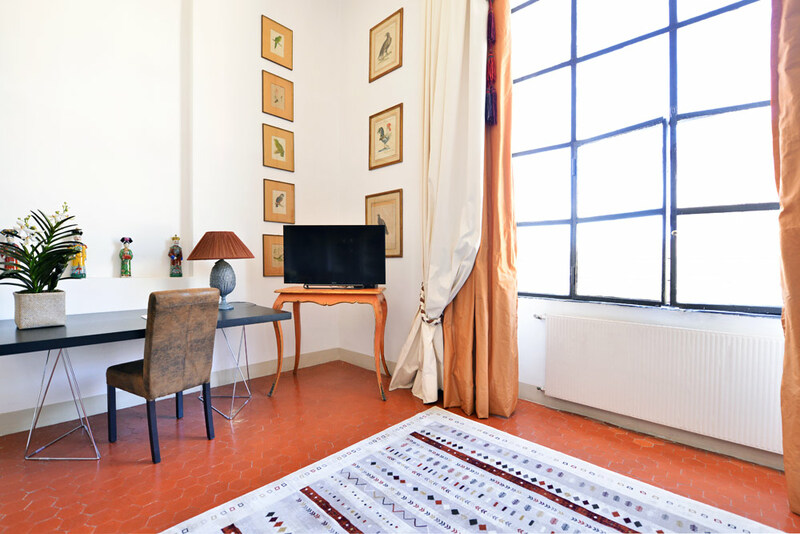 This apartment also lies on the Metro A line, making it very easy to access further sights such as the Vatican. Changing at the Termini station on the Metro A, you can transfer to the Metro B which will take you through to the Colosseum, Palatine and Monti area. If you take the Metro B further to the Circo Massimo station, you can also access the charming Giardino degli Aranci. 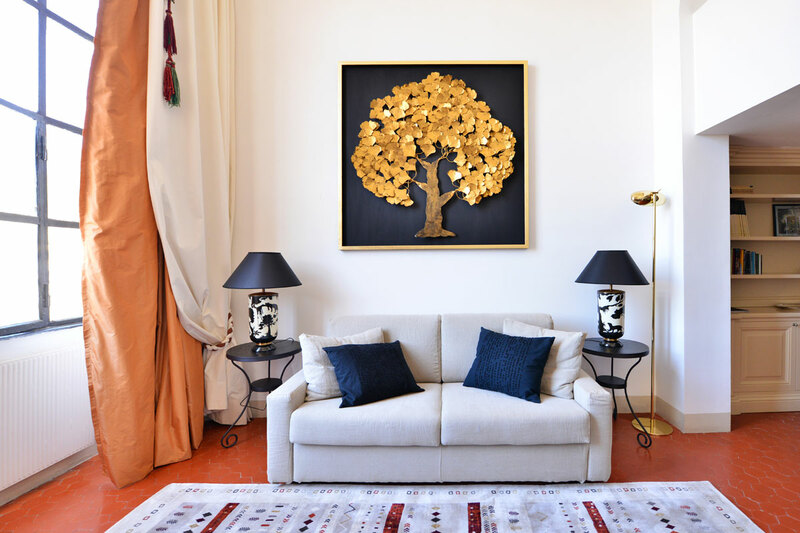 This picturesque garden has shaded seating areas under its orange trees, as well as a beautiful view over the River Tiber and the historical center. My boyfriend and I stayed in this apartment for one week this past November (2017). We were greeted at the gate by a very friendly staff member who brought us up to the loft and gave us all of the information we needed for the week. He and the rest of the staff made themselves available by text and email in case we had any questions throughout the ...Read Moreweek. The location of this apartment is great! Via Margutta is such a beautiful quiet street and conveniently located near lots of great sights. I would highly recommend this apartment! It is spacious and bright and very comfortable. It’s the perfect location for your “home base” while you explore the city. Twas a wonderful weekend at this apartment. So beautifully decorated and the mood was just right. We only wish we had stayed longer... darn it.We have been to Rome numerous times and this was a special time. My cousin ran in Borghese gardens so close by. We were close to Via Candiotti and shops as well as Via del Corso.The days flew by and the a...Read Morepartment was so nice to return to for naps and a quick bite before heading out again. Thanks to Honey who got us in and arranged to have details organized for us ...he was quick to take care of extra linens and also arranged for car services. The concierge at the entrance is a great guy too. Thanks to you all and we will be back! The pictures do not do the apartment justice. The reality is SO much better than the pictures, including the fact that there's an excellent, fully updated kitchen. 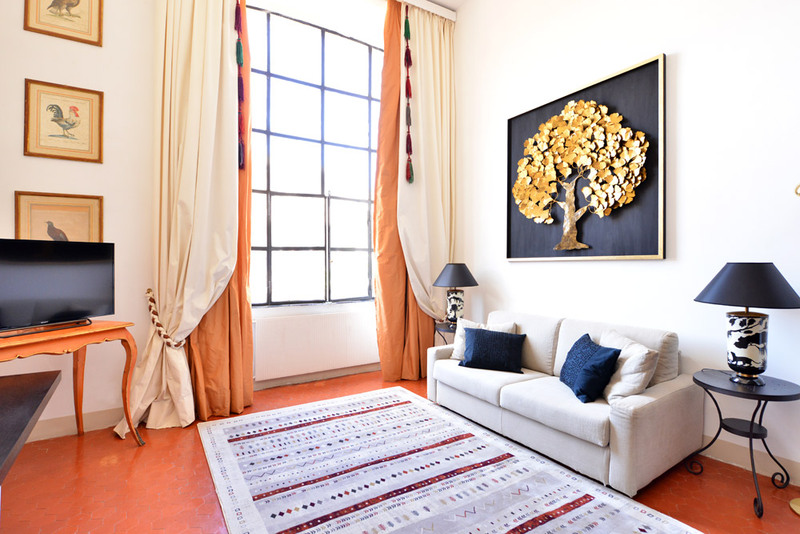 The rooms are much larger than they look, and the charm and comfort factor were incredible. I even loved the internal staircase---so gracious and befitting a grand entrance. The...Read More large window is HUGE with wavy antique glass and all in all, the place was wonderful. The security is also excellent, as there is a portiere during the day, and the grounds are locked at night. Would love to stay there again. The street is obviously famous and charming. The only downside is that many of the nearby streets are a bit much in terms of stores and crowds---and I like to shop....... wonderful and memorable place to stay. L'appartement bénéficie d'un emplacement extraordinaire à 2 pas de la Piazza du Spagna, situé dans un merveilleux ensemble immobilier couvert de glycine il offre un très beau volume d'atelier d'artiste et est idéal pour un couple avec un enfant. Vous aurez vraiment l'impression d'être privilégié et de vivre co...Read Moremme un véritable aristocrate romain... A conseiller aussi pour les amoureux du secteur et du shopping.